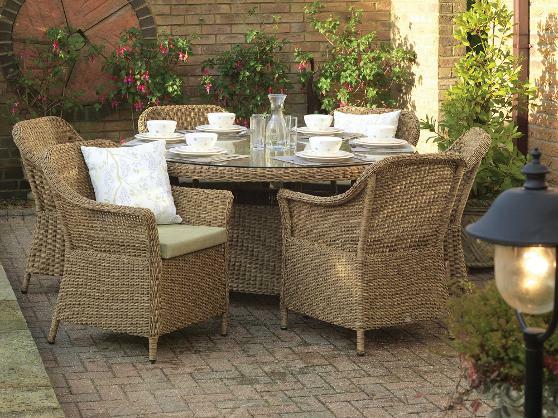 The Lyon offers everything you need to complete your garden. Its sophisticated elegant looks and extreme practicality come together to offer you the ideal furniture set for any garden. Shown in Lucca Olive fabric.